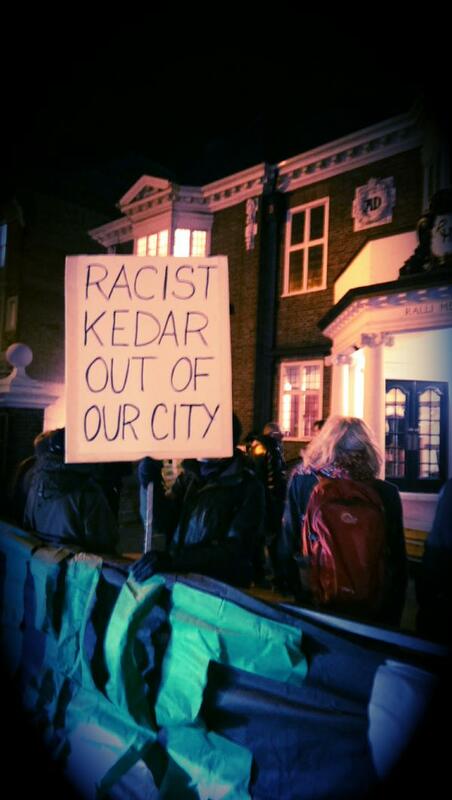 30 anti-racist and feminist demonstrators braved freezing temperatures last night to express their anger and indignation after local Zionists failed to cancel a talk by Mordechai Kedar. 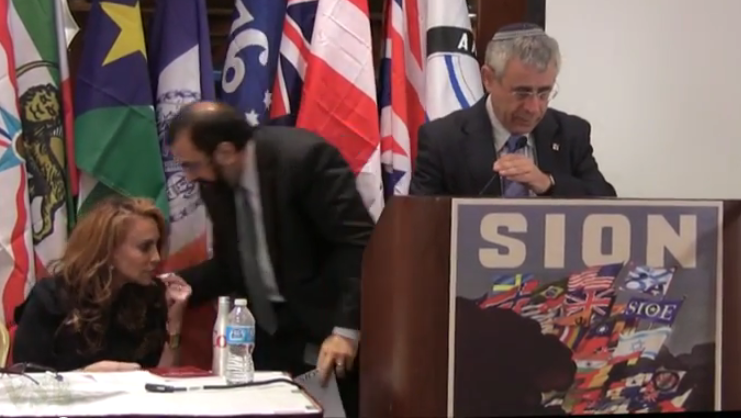 Kedar is an Israeli lecturer with an appalling record of racist and misogynist views. Despite cancellations of many of his other UK speaking engagements at synagogues and Jewish schools, following publicity about his outrageous statements, Sussex Friends of Israel provided him a platform at Ralli Hall in Hove. This is perhaps not surprising, in view of SFI’s consistent record of unquestioning support for Israeli apartheid. What is puzzling is the failure of the Home Secretary, Theresa May, to deny Kedar entry to the UK. She has frequently exercised her power to exclude Palestinian visitors who posed far less of a threat to community relations. For example, in 2011 she banned the Israeli Sheikh Raed Salah from the UK after he was already in the country on a speaking tour. He had been invited by Members of Parliament. Sheikh Salah’s only crime was that he was hated by the Israeli Government for his truth-telling and human rights activism. This consistent demonisation of Palestinians, and simpering toadyism to the Israeli regime, is unacceptable. The Palestine Solidarity Campaign has written to home secretary Theresa May, drawing her attention to Kedar’s presence in the UK and calling for him to be excluded from future visits. The PSC points out that “his entry to this country runs contrary to your policy to take pre-emptive action against those who encourage extremism” and that Kedar’s speaking engagements at a number of schools are “contrary to the 2013 Task Force’s on Tackling Radicalisation and Extremism report recommendations on protecting children from extremist views”. May’s inaction over Kedar is particularly inexplicable given her earlier decision to exclude Pamela Geller and Robert Spencer, close associates of Kedar whose extremist views are barely distinguishable from his own. This entry was posted in Featured resistance, Israel, Resisting Islamophobia, Right wing, UK by Bob Pitt. Bookmark the permalink.